In order to benefit from protective immunity, a host must be immunocompetent. Unfortunately, immunity against infections must be frequently provided to recipients who are immunoincompetent, thus making it difficult to generate effective immune responses against potentially hazardous infections. 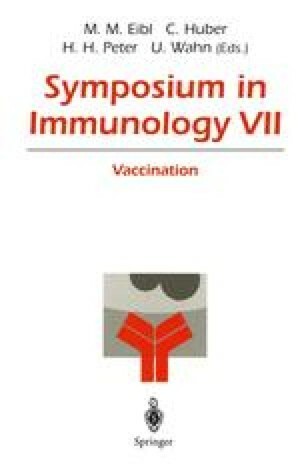 In cases when it is unfeasible to induce a protective immune response in an immunocompromized host — either because of lack of sufficient effector cells or other components required to induce an active immune response, or else because of humoral or cellular suppressive mechanisms that prevent generation of a normal immune response by existing immune cells — a possible solution is passive adoptive transfer of cell-mediated immunity, using lymphocytes obtained from major histocompatibility (MHC) compatible donors sensitized in vivo or in vitro. The present report will summarize some of our experience in adoptive transfer of cell-mediated immune responses into recipients made tolerant of donor alloantigens in the course of bone marrow transplantation (BMT). Recent developments at our center suggest that successful induction of host vs donor tolerance in the course of allogeneic BMT procedure, which classically involves myeloablative treatment, may provide a good basis for successful intentional adoptive transfer of donor immunity to the host. Furthermore, similar results may be achieved following non-myeloablative conditioning, suggesting that safe methods, free of procedure-related toxicity, may soon become available for induction of unresponsiveness to donor-derived hematopoietic grafts, including donor-derived lymphocytes, capable of transferring donor immunity to an immunocompromized host.